Many fast food places even use the same chemicals to preserve their food that you can find in your COSMETICS and TOILETRIES, like shampoo and mascara . Just get rid of this stuff, it is killing you slowly. If you need to, you can make a goal to reduce your fast food meals by one per week and work up to eliminating it forever. Here are 10 dangerous food additives you should avoid. Sodas and diet sodas are also full of chemicals that are known to cause cancer and increase the risk of lifestyle related illness like diabetes and cardiovascular disease. Fruit juices and other sugary drinks are just empty calories. You can improve your health greatly by slowly decreasing the amount of these drinks each week and replacing them with water and teas (unsweetened). Not only will you be lowering your calorie intake, but you’ll be limiting your body’s exposure to toxins and chemicals. Water will flush toxins from your body, decrease your appetite, give you better skin, and aid your body in just about all of its necessary functions. Even if it’s just a walk around the block, find a physical activity that you enjoy and start by making a goal to do it three times a week. The key here is that you enjoy it and can see yourself doing it more often. If you have trouble coming up with a physical activity that you might like, try thinking back to your childhood – did you love riding your bike? Did you play soccer or baseball? Did you just enjoy roaming the neighborhood? Give it another shot, chances are that your childhood attachments to the activity will make you feel good while you’re doing it, and you’ll want to do it again. Add more activity until you work up to being active in some form at least 5 day per week. Ask my mom – I didn’t eat veggies until I was a grown woman. I still have to force myself to eat a few of them, like broccoli. 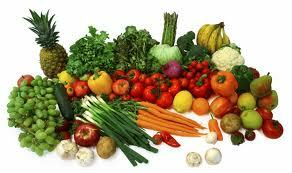 But nothing is more important to your overall health than the vitamins and nutrients found in vegetables. They help your body function in endless ways, and can even reduce your risk of cancer by activating cancer-fighting enzymes. With the right cooking method, herbs and spices, or even in a smoothie, you can make veggies taste really delicious. To transition into eating more vegetables, try replacing an unhealthy side dish that you normally eat with veggies at one meal per day, and slowly increase until you’re getting 4-5 servings per day. Here are 20 magical ways to sneak in more veggies. A mental shift needs to happen when you start to take control of your health, and part of that is becoming accountable to yourself. This can be through keeping a food journal, wearing a calorie-tracking armband, using a calorie counting and exercise application on your phone or computer, or even wearing a pedometer to count your steps. Keeping track of what you eat and how much you move will be a very eye-opening experience. Studies show that most adults overestimate the amount of healthy food they are eating and underestimate the rest of it…not because they are trying to be dishonest necessarily, they just don’t have an accurate idea of what they are eating unless they actually record it and measure it out. One of the best and easiest things you can do for your health is to cut out the white stuff – white flours, pastas, cereals, and sugars. These items are highly processed and fill you up with a large amount of calories for almost zero nutritional value. They also cause an insulin surge, which over time can reduce your insulin sensitivity and increase your risk for diabetes. Try replacing these items with whole grain, nutrient dense foods instead. Another eye-opener is to start taking a look at the nutrition labels of the foods you are eating. Pay careful attention to serving size, as many labels can get tricky in that area – you might actually be eating two or more servings instead of one. Read the ingredients list too, and beware of trans fats (also called hydrogenated oils), artificial sweeteners (sucralose, aspartame, saccharin to name a few), artificial colors and flavors, high fructose corn syrup, bleached flours, and anything else that you don’t instantly recognize as food. You might try watching documentaries about food and nutrition (I recommend Food, Inc. and Forks Over Knives). You can also read books, ask a fitness expert or trainer, or just start here at Coach Calorie by downloading the free e-book and read just about everything you need to know. When the craving for something sweet strikes, try replacing your normal sugary snacks with a piece of fruit instead. Fruit has natural sugars in it, but it also has vitamins and nutrients that are important to our health, and way less calories than a snack. I successfully kicked my own nighttime sugar addiction by replacing it slowly with apples and a tablespoon of peanut butter. Another mental shift that needs to take place is to open your mind to new possibilities. Don’t tell yourself you can’t do this or you won’t try that or you’re not capable of something. When I think back to all the things I thought I couldn’t eat or exercises I would never be able to do, I laugh because I have smashed through all of those self-invented barriers I set up for myself. Try some new foods. You are bound to find something that is good for you that you enjoy. Try a new exercise, work each week to get better at it, and before you know it you’ll be doing things you never dreamt you could do. Again, it is important to not rush out and try changing all of these things at once! Remember, long term success is best achieved through small changes, a little at a time. Gently and truly inspirational! ps: Who is Deanna? An alter ego? A spouse? A fellow health-lover? Deanna? I don’t recall any Deanna … where did you see her referenced?